Qantas Airlines was founded in November 1920 as Queensland and Northern Territory Aerial Services Limited with its first aircraft being an Avro 504K. It started flying internationally in 1935 when it flew from Darwin to Singapore and in 1959 entered the jet age with a Boeing 707-138. The total Qantas group services more than 60 local and over 25 international destinations across the Americas, Africa, Europe, Asia and Oceania. Headquarters are based at Mascot, New South Wales with primary hubs at Brisbane, Melbourne and Sydney airports and secondary hubs located at Adelaide, Dubai and Perth airports. 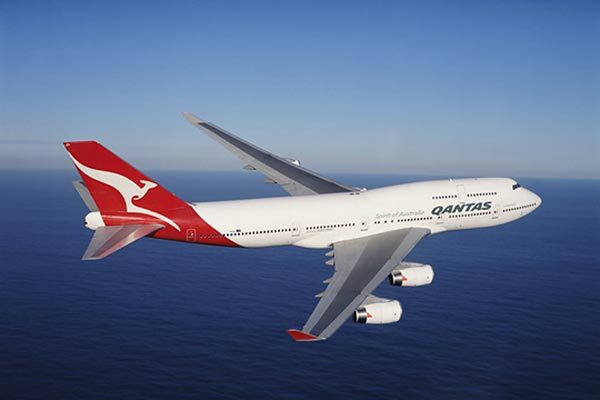 Qantas is a Oneworld alliance member and has more than 10 subsidiaries under its umbrella. Flying with Qantas will ensure you have fresh seasonal flavours, bigger portions & award-winning wines. 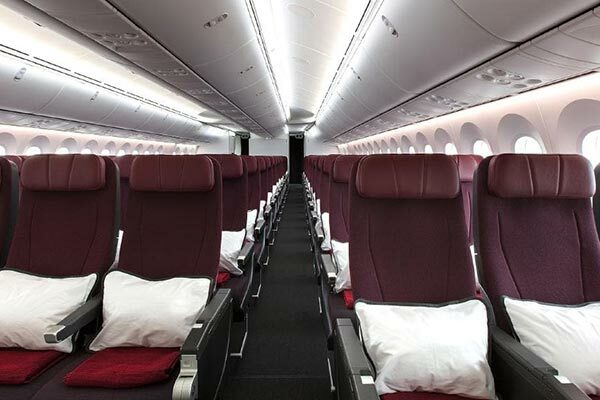 The airline provides its loyal guests with the Qantas Frequent Flyer programme and offers international travellers four classes of travel, First, Business, Premium Economy and Economy while on Domestic and Trans Tasman routes Economy and Business Class are available with Regional flights in Economy Class. On selected Quantas B747-400 aircraft passengers flying internationally can relax with fully-flat sky-beds in Business Class. Qantas Airlines fly to many destinations around the world and finding the cheapest flights is simple. We scan millions of Qantas flights during a year and are able to offer you the best prices guaranteed. Some of the most popular Qantas routes include; Qantas Airlines Flights From OR Tambo International Airport To Perth International Airport, OR Tambo International Airport To Adelaide International Airport and Flights From Brisbane International Airport To King Shaka International Airport with prices starting from R11600.00, depending on the time of year. Passengers flying domestically can check-in online from 24 hours to 30 minutes before flight departure while international travellers have from 24 hours to 2 hours before departure. Under Manage Your Booking simply enter your booking reference number and surname, click Online Check-in and follow the five easy steps after which you can print your boarding pass. Domestic flight passengers with checked baggage must drop off their luggage at the bag drop within 30 minutes while international travellers have 90 minutes before flight departure and must ensure that bags are correctly labelled inside and out. On international flights First, Business and Premium Economy classes are allowed two pieces no larger than 115cm in size or one piece at 115cm plus one non rigid garment bag at 185cm. Economy class passengers may take one bag at 115cm or one non rigid garment bag at 185cm. Pieces over all classes may not exceed a weight of 7kg. Passengers may additionally take one small personal item such as a handbag, small camera, reading material or laptop in a slim bag. Laptops in large laptop bags will be considered as part of your cabin baggage allowance. Passengers holding Qantas Frequent Flyer or Club memberships have larger allowances and should check online for their specific membership. With a fleet of 117 comprising numerous Boeing and Airbus aircraft, when taking a Qantas airlines flight you know you’ll experience a journey comprising nothing but the best in service, in-flight entertainment and comfort. Voted by TripAdvisors 2015 Travellers Choice as Australia’s favourite Domestic and International airline it also took the Best Premium Economy Class Airline from the 2015 Business Traveller Middle East Awards including the Best Business Class Airline from 2015 Luxury Travel Magazine Gold List Awards. Qantas Spirit of Australia Magazine provides passengers with inspiring articles on travel, top hotels, the best restaurants, shopping, business and great destinations including many other topics. 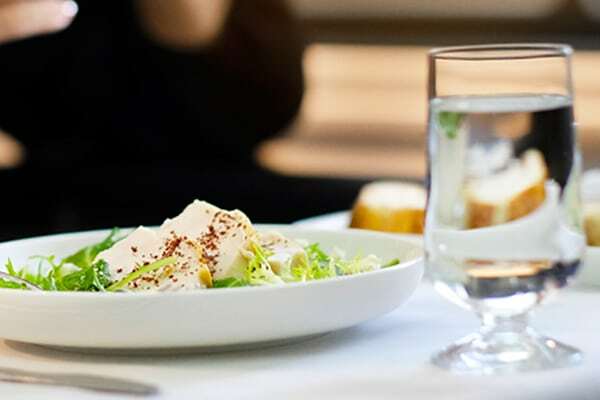 Passengers travelling in First Class have a choice of 12 mouth-watering main courses to decide on and will be more than satisfied with a range of wines and champagnes especially as the Qantas wine cellar is a multi-award winner. On certain routes guests can indulge in an eight course tasting menu. The airline has introduced a new in-flight dining experience for passengers travelling internationally in Economy Class with more meal choices, faster service and no more trays! Passengers wishing to pre-book their favourite seat from Johannesburg can do so for a fee of $30 or 4,000 points or for extra leg-room seats $180 or 23,500 points. Qantas Airlines have their office based in Parktown North of Johannesburg.